Amanda Sanchez is Operations Manager for Top Value Fabrics. 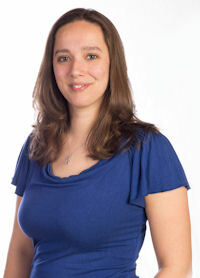 Amanda joined our team in March 2010 with a background both as a Billing Specialist and in Retail Management. Amanda excelled as a Sales Assistant supporting our sales team prior to being promoted to Operations Manager. Amanda is customer-service focused, detail-oriented, and learns and executes quickly, all qualities that help her succeed. Special interests include spending time with friends and family, and Amanda is especially proud of her nieces. She also enjoys shopping, cooking, warm weather, and spending time boating, camping and enjoying the great outdoors.